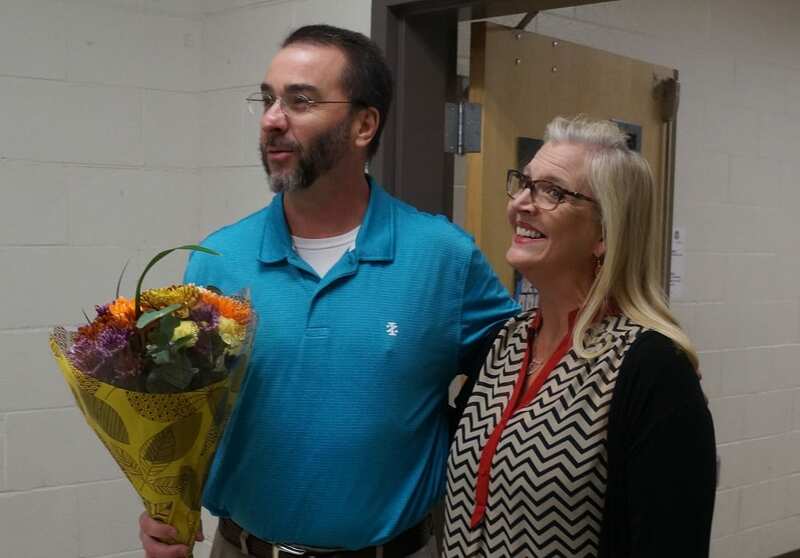 ELLIJAY, Ga – Gilmer students and staff are waking to awful news this morning as reports are coming in about a tragedy involving Gilmer Middle School Principal Larry Walker. It is with the heaviest of hearts and many prayers that we make our community aware of the passing of beloved Gilmer Middle School Principal, Larry Walker, following a tragic accident late yesterday. We wake this morning deeply saddened and shocked. Our district is in the process of making arrangements for counselors and our local ministry to help our staff and students in this time of great sadness. The Gilmer Middle School Gym will be open today at 2:00 with counselors and members of our local ministry available. His death comes from an accident involving a tractor. As the family makes preparations, the school system is in mourning as they await further details. So sorry for your lost. May God be with the family, friends, staff and students. You have so many that love you!!! Larry walker was my 6th and 7th grade teacher….i pay my respects. So sorry to hear this our prayers are with all the family, students faculty and staff!! Such a terrible tragedy at the loss of another Gilmer County Schools administrator. My heart and prayers go out to the GCS community and to his loving family. Rest In Peace Larry Walker. My thoughts and prayers to the family, staff and students at GMS. What a great man!! Loved the kids, staff and the Lord. I’m so saddened to hear hear this terrible news. My heart is broken for the Walker family and Gilmer County School System. A person that will be sorely missed by all. Prayers for his family..
I’m so sorry. He was a good man sorry for family. Such a shock to get the news of Mr. Larry Walker’s accident and passing. Such a Sad day. Prayers for his family, the school systems administration, teachers and students who loved and respected him. His loss is already being felt in Gilmer County. Will always be thankful for the guidance and support he gave. Mr. Walker was a positive influence to my son (Adam Chandler) during his Middle School years. We remember him fondly and his lessons have been carried on. My heartfelt prayers for the family during this time.. Such a terrible tragedy. Prayers for everyone. So sorry. Prayers for Larry’s family and friends. GMS won’t be the same without you. Heart breaking news. Mr. Walker was an amazing man who loved his job, the students, his family and God. My son was heartbroken when I sat him down and told him about the accident and his passing. Sending a multitude of prayers for the faculty, students and most of all his amazing family. He is truly missed. When will the funeral be? Does anyone know? I am so sorry to all the Gilmer Family, the Walker Friends and Family. My condolences, thoughts and prayers go out to you all. I’m so sorry for the family and the children’s loss. I have known Larry many years. He will be sadly missed by many. Larry walker is and was my 5/6th grade principal. He was a very kind and respectful man and would help anyone in need. I give prayers for the family and friends of this wonderful man. What a great loss for such a great guy!! He has for sure had a positive influence in many many ways in our community and schools. We can only strive to carry it on and be there for his sweet family. Being in Ellijay only a few years, I did not have the pleasure of meeting Mr. Walker. 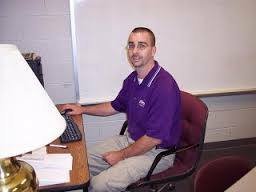 But, I can say he was so loved by the students and teachers of Gilmer County Schools. Just the mention of Mr. Walker’s name and you heard what a kind, respectful, and fun principal he was. There was always a story. He will be greatly missed, I pray for his family. I taught with Mr. Walker a few years at GMS. He mentored me as a rookie and many years thereafter. He will be greatly missed. He was kind, consistent, and let his Light ever so shine. He lived his legacy, and we’d do well to do as he did. Blessings. He will be missed. He was my son’s principle and I had the pleasure of subbing under him several times. Always asked me how I was. My son played football and he was always so supportive of their team. He even threw them a rally for making it to the Super Bowl. The ball that is in the case at gms is because he wanted the boys to have a special spot in the case for their achievement. He made them feel so important. I have also seen him in tne stands at CCMS watching their games and cheering them on. He truly loved his kids..even if it meant being strict on them. My son loved him and had great respect for him. Now heaven gets to have him. We will see you again one day! R.I.P..
My prayers and thoughts go out to the Walker family at this time. I grew up with Larry and we had good times riding the bus home together after school..I will remember him for making me laugh and smile..
Prayers for his Sweet Mother Mary and for the Family. With love. Pat & Lisa West. Very sorry to hear of his passing. I didnt know him very well in the years he was a teacher but i did know his wife Robin, she was a great Spanish teacher when i went to GMS. I moved to NC almost 12 years ago and never knew he became a principal. Sending Many Prayers to the Family and Students. I am so sorry for what happened Mr.Walker was a good man he was very nice to me.He was my principle for 5 and 6 i am now in 7 grde,and he is the one who helped me when he said something important and i would always follow his rule i was a good and bad girl but i can always remember when he would come to the classroom and say “good morning ” the last time i saw him was when it was the last friday. GOD BLESS . I will help for prayers and for yalls family . Please try to stay stong. you were always nice to me and my children, Thank you !! Hugs , kisses and prayers for Mrs. Walker and the Girls , Thinking of you on this day and Believe me I know what you going thru .